The Black Japanese Akoya Pearls and Sterling Silver Earrings are a mysterious and fashionable statement for pearl lovers. 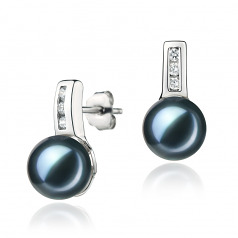 The .925 Sterling Silver Rectangles are adorned with three cubic zirconia stones each. 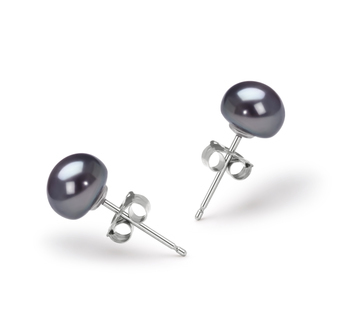 They are sparkling with an array of glistening tones that makes the descending piece a stunning and seemingly simple use of the rectangle to create a powerful statement worthy of the Black Japanese Akoya Pearl. 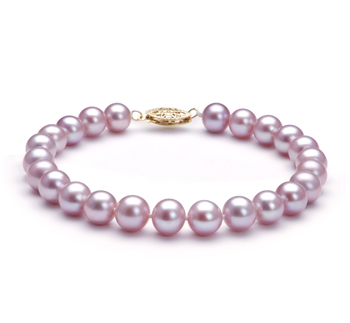 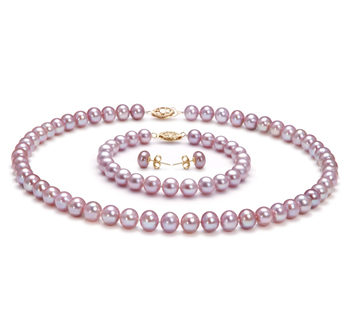 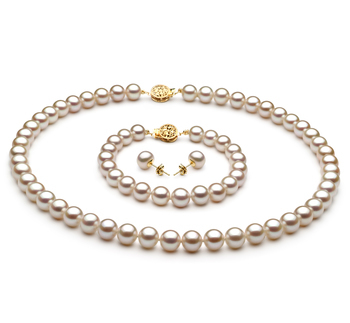 Known for their grace and beauty, the Japanese Akoya pearls belong only in the finest settings that compliment their natural and intricate designs. 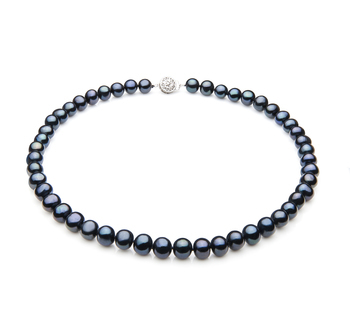 The finishing touch is the glamorous and well awaited for Black Japanese Akoya Pearl. 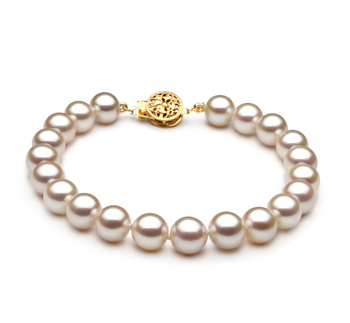 Noted for its perfect AAA bear perfect sphere shape and its glistening lustre, it is of the highest quality pearls that is the perfect size for any age. 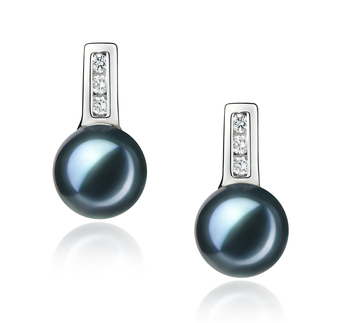 The wondrous glistening lustre creates an amazing and inviting scene over the smooth and silky surface of the Black Japanese Akoya Pearl Earrings.